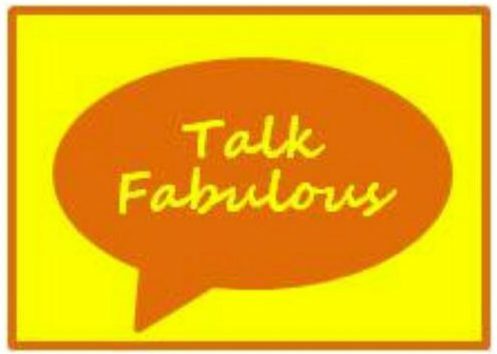 We can’t leave the kiddos out of the holiday fun, so today, let’s talk kid activities. 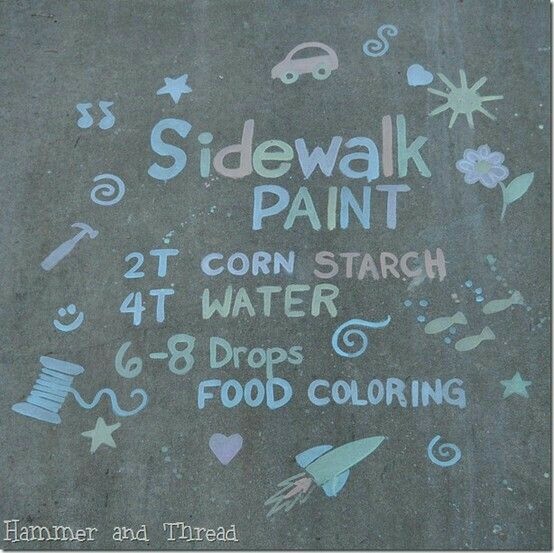 I first tried this homemade sidewalk paint with my 3 year old nephew a few weeks ago. He loved it! All you need is corn starch, food coloring, paint brushes, and water. Mix 2T corn starch, 4T water, and a few drops of food coloring in a muffin pan. For white, simply leave out the food coloring. That’s it! 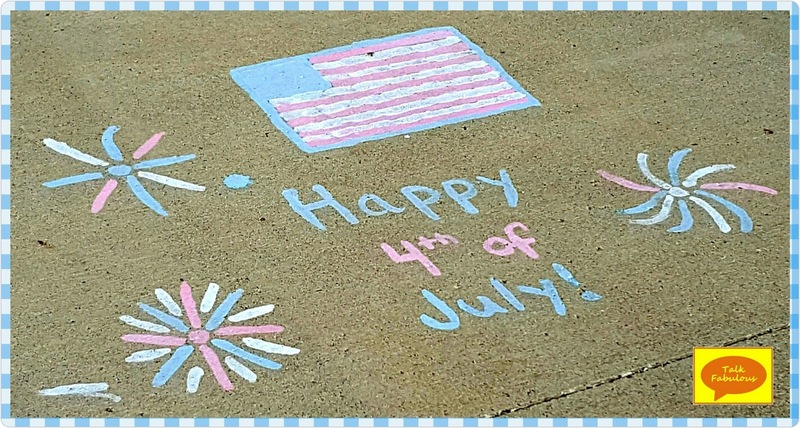 Now take the kiddos outside and let the fun begin! How do you entertain the kids over holiday weekends?